POSTECH PONIX, an amalgam of POSTECH and phoenix, is the University Mascot derived on the legendary bird. 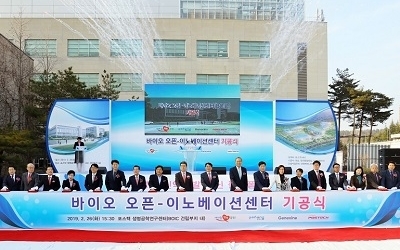 POSTECH PONIX represents POSTECH’s identity through the atomic structure of the University Emblem that stands for science and technology, and the school colors – POSTECH Red, POSTECH Orange, and POSTECH Gray. Rather than a featureless anthropomorphization of the legendary bird, POSTECH PONIX distinguishes itself by fusing the letter P from POSTECH and phoenix onto its body to personify the University’s character and spirit.